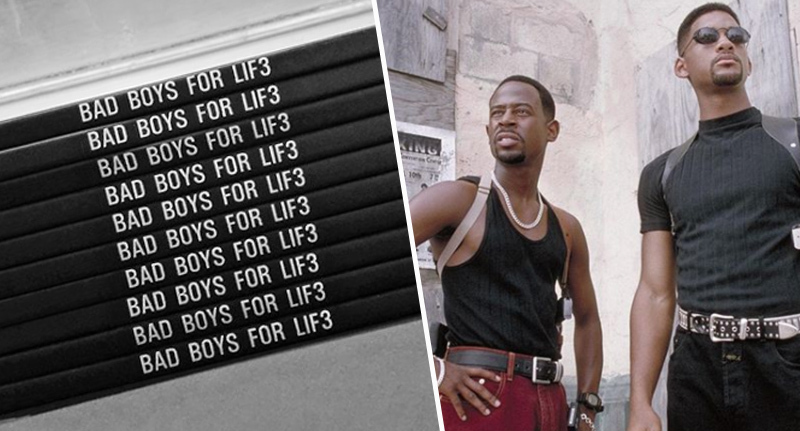 We’ve got the biggest piece of film news for 2019 so far – no I’m not talking about last night’s Golden Globes (January 6), I’m talking about the fact production for Bad Boys 3 has started! While most of Hollywood are no doubt still celebrating the best in film and TV – hello Bohemian Rhapsody and Rami Malek – Will Smith was busy with something else entirely. The former Fresh Prince of Bel-Air star teased fans on his Instagram account, with a post which alluded to the fact production on Bad Boys for Life, has finally started. The long-awaited third instalment in the action franchise – which began in 1995 – will see Smith and Martin Lawrence reprise their roles as Miami-Dade detectives, Mike Lowrey and Marcus Burnett. Shot, sweet and to the point. And like he says, he’ll keep us posted so I bet not a lot has been happening just yet. Nearly 24 years ago, wow! Even scarier is the fact the sequel, Bad Boys II – released in 2003 – is now over 15 years old. Boy do I feel old now! It was a year ago – in January 2018 – when we found out production was going to begin later on in the year. Ok so the timing was off slightly – but still, we knew it was happening. Just a few months later and the plot details were revealed. The film will see Lawrence’s character Marcus Burnett working as a private eye after a falling out with Smith’s Mike Lowery, who is going through a midlife crisis as a bachelor who finally wants to mature, all while dealing with a new a young and cocky partner who is loyal to Lowery but that loyalty is not reciprocated, and finds bond with Burnett when he returns to the fray. Lowery and Burnett are brought together again when a lean, mean, skilled, Albanian mercenary with a vendetta puts a death order on Lowery and Burnett for the death of his brother. Now the two must work together once again to bring him down. The films budget is set at over $100 million so expect loads of car chases and explosions. According to Comicbook, the latest version of the script comes from Chris Bremner – who wrote the Kevin Hart comedy, The Wedding Ringer. It’s thought Bremner’s style has found a way to combine both the action and comedy fans have become accustomed to from the Bad Boys films, which others had failed to live up to. David Guggenheim and Joe Carnahan had previously tried to pen the screenplay, with the latter also attached to direct at one point. Bad Boys for Life is expected to hit cinemas 17 January, 2020.